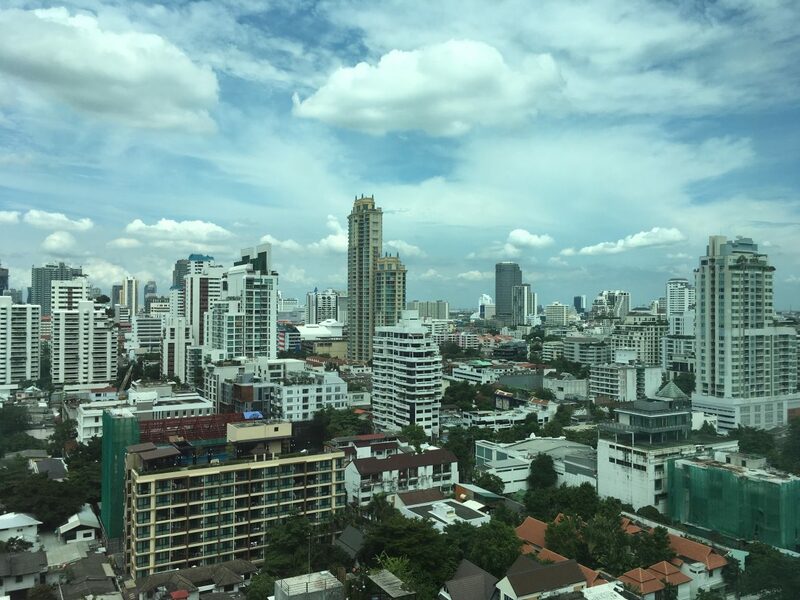 Are you headed to Bangkok, Thailand in the near future? Or, you are possibly investigating whether you should book a trip there? Either way, we have you covered with three places you MUST visit when in Bangkok. More commonly known as JJ market, this is the largest market not only in Bangkok, but in Thailand, too. You can easily spend a whole day here, browsing through the 8,000 stalls that sell a wide array of plants, antiques, home décor, clothing and books. 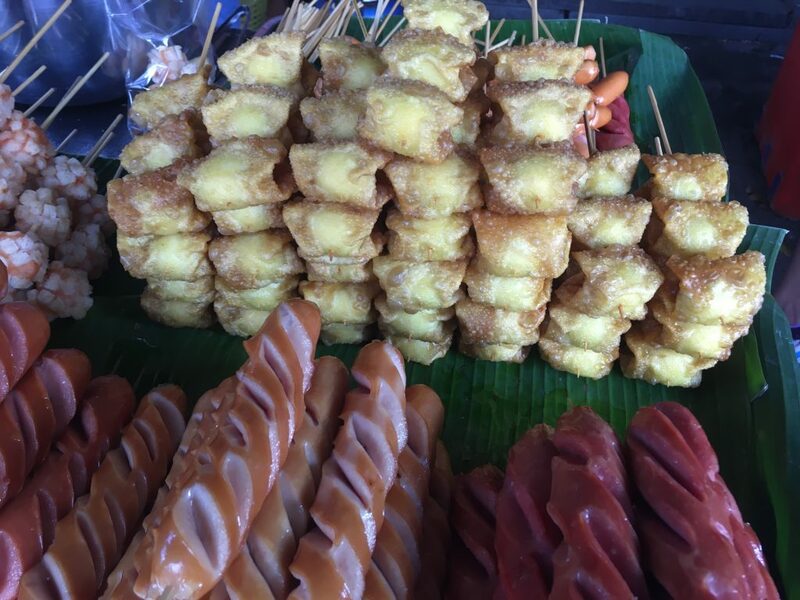 There is a huge assortment of delicious foods on offer at very reasonable prices, so be sure to visit on an empty stomach! 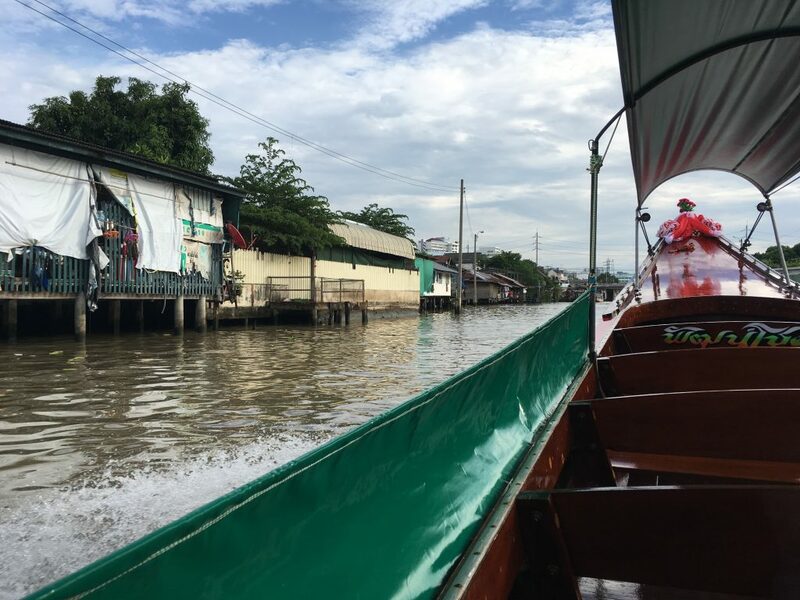 A trip through the canals of Bangkok. In the past, the local people of Bangkok primarily travelled in waterways. Though most of these canals have been converted into streets, the old capital of Thonburi has still retained many canals. A trip on the other bank of the Chao Phraya River will allow you to see pagodas, houses and small businesses. You can even feed the very large fish in the canals, which are actually protected and unable to be caught! This historic city is well worth the two hour drive from Bangkok. 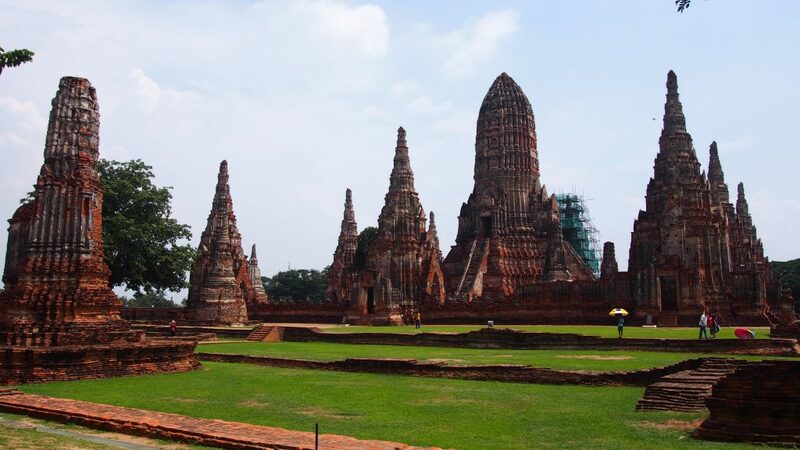 Ayutthaya was the second capital of the Siamese Kingdom, flourishing between the 14th and 18th centuries. The city was built at this location as it was located about the tidal bore of the Gulf of Siam and prevented the attack of the city from other countries sea warships. The city was attacked by the Burmese army in 1767 and it was burned to the ground with the inhabitants fleeing. It is now listed as a UNESCO World Heritage Site, and rightly so! Wat Chaiwatthanaram – This temple is relatively young compared to others, having been constructed in 1630. The size is astounding, and you will want to spend a fair amount of time exploring it. Wat Chaiwatthanaram was designed in Khmer style, which you will see in the temples in Cambodia. Wat Mahathat – Possible one of the most popular spots in Ayutthaya, due to a Buddha head in the tree. It is thought that this Buddha head fell to the ground in the 1600’s, and the Bodhi tree grew around it, though nothing is certain. It is useful to note that this is a very sacred site, so touching the Buddha is not allowed, and you should kneel when taking photos as a sign of respect. Wat Phra Si Sanphet – This site was originally used as a royal chapel. The highlight of the architecture is a line of three tall chedis (stupas) which have a peaceful, rustic feel to them. It is recommended you steer clear of the elephants there, as recently a banana vendor was seriously injured when trying to feed one. Ayothaya Floating Market – Even if you don’t purchase anything, this market is great for the atmosphere. 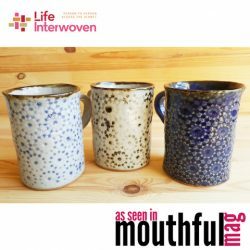 You will find local delicacies, Thai fashion and knick knacks. There is apparently now an entrance fee, however when this author visited in October 2016 that wasn’t the case. Ayutthaya is a 1.5 hour drive from Bangkok when there is no traffic. However, if there is traffic, like there was on our way back, the journey can take up to three hours. We hope this post has encouraged you to book those tickets to Bangkok. If you do visit, tag us in photos on Instagram so we can share your journey with you!